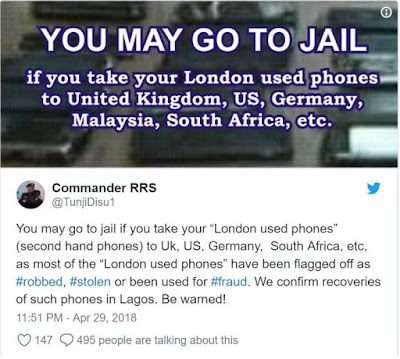 A Commander of the Nigerian , Tunji Disu has issued a warning to Nigerians that UK-used Phones Can Land You In Jail. A commander of the Nigerian Police Force in Lagos, has fired a warning to Nigerians who are in the habit of travelling out with their second-hand phones. 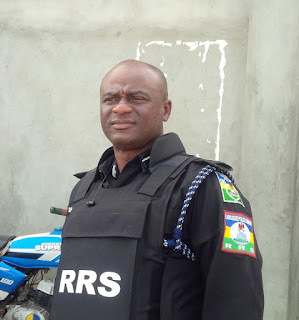 The Commander of Lagos State Rapid Response Squad (RRS), Tunji Disu, has taken to his Twitter page to reveal to Nigerians of the danger of taking their UK-used mobile phones along with them while travelling abroad. 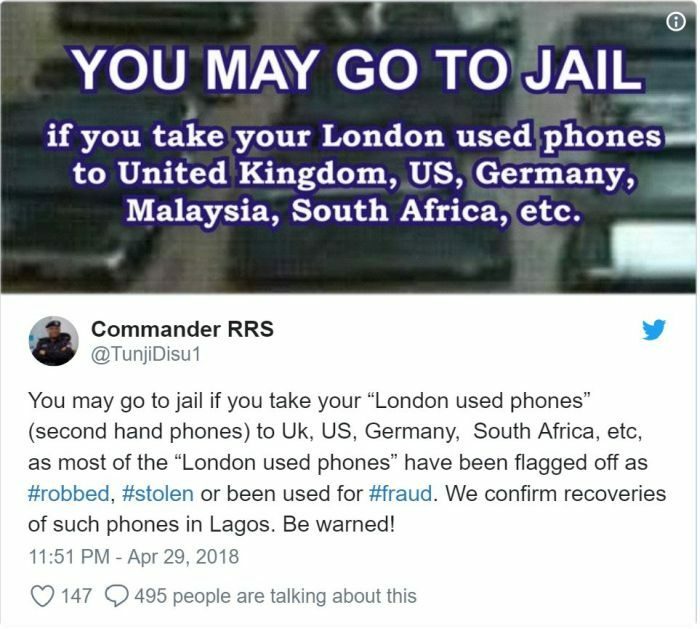 YOU MAY GO TO JAIL IF YOU TAKE YOUR “LONDON USED PHONES” (SECOND HAND PHONES) TO UK, US, GERMANY, SOUTH AFRICA, ETC, AS MOST OF THE “LONDON USED PHONES” HAVE BEEN FLAGGED OFF AS #ROBBED, #STOLEN OR BEEN USED FOR #FRAUD. WE CONFIRM RECOVERIES OF SUCH PHONES IN LAGOS. BE WARNED!.